Mayor's Inn Bed & Breakfast Our records show that this inn is closed. Lambright Place B&B Our records show that this inn is closed. Hidden Valley Ranch Our records show that this inn is closed. Bunkhouse B&B Our records show that this inn is closed. Valley Ranch Our records show that this inn is closed. Parson's Pillow B&B Our records show that this inn is closed. Casual Cove Bed & Breakfast Our records show that this inn is closed. Rockwell Ranch Bed & Breakfast Our records show that this inn is closed. 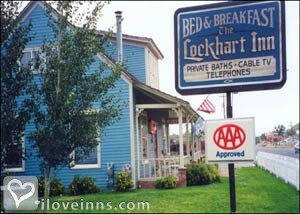 The Victorian House Bed & Breakfast Our records show that this inn is closed. Cody bed and breakfast travel guide for romantic, historic and adventure b&b's. 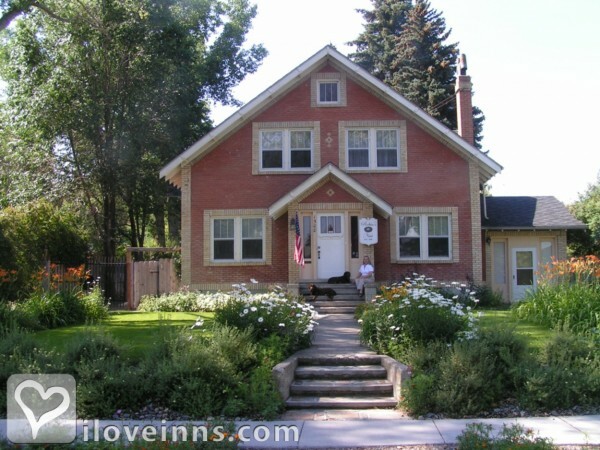 Browse through the iLoveInns.com database of Cody, Wyoming bed and breakfasts and country inns to find detailed listings that include room rates, special deals and area activities. You can click on the 'check rates and availability' button to contact the innkeeper. Cody, Wyoming bed and breakfast inns offer a good location for access to the east entrance of Yellowstone National Park. The Cody Nightly Rodeo runs from June through August. Cody bed and breakfast guests often visit the Buffalo Bill Historical Center (often times called the Smithsonian of the West), and Old Trail Town, an outdoor authentic western town when not at the park. For centuries, Buffalo Bill's old west town of Cody Wyoming has been a natural gathering place. Buffalo Bill's legacy remains in Cody, Wyoming, east gateway to Yellowstone National Park, as do the natural wonders and wildlife that make a visit to Cody, Wyoming so exciting. Visitors to Cody, will enjoy abundant outdoor recreation opportunities and attractions that include the world-renowned Buffalo Bill Center of the West, the Cody Nite Rodeo and of course Yellowstone National Park and Old Faithful. So c'mon in and enjoy! By K3 Guest Ranch, Bed, Breakfast & Barn. Cody is a city that best typifies everything that is beautiful about the state of Wyoming. Its many scenic and historic attractions are the main reasons why people book themselves reservations at Cody bed and breakfast inns. One of the must-visit sites in the city is the Buffalo Bill Historical Center. This museum provides visitors a glance at how Wyoming looked centuries ago. Another historical museum is the Old West Miniature Village and Museum. Less than a mile from the center of the city is the Dan Miller's Cowboy Musical Revue, where very entertaining live performances are held nightly. The Cody Night Rodeo is an alternative about three miles away. The Teton National Forest is perfect for nature-trekking and mountain biking just as the Buffalo Bill State Park also is. Other museums that exist in the area are the Cody Dug Up Museum and Draper Museum of Natural History. Once home to Buffalo Bill Cody, Cody Wyoming is the gateway city to two entrances into the Yellowstone National Park and not far from the Bighorn Canyon Recreational Area where wild mustangs roam. From June to Aug there is nightly rodeo, horseback riding and river rafting. The Buffalo Bill Museums complex is here with five world class museums. The scenic drives in every direction are incredibly beautiful and make day trips from Cody where daily air service is provided from either Denver or Salt Lake City. By Robin's Nest Bed & Breakfast. Buffalo Bill Cody's town of the west features rodeos every night from June to September, Buffalo Bill Center of the West, Old Trail town, Trolley tours and more. Located only 50 miles outside of Yellowstone National Park.